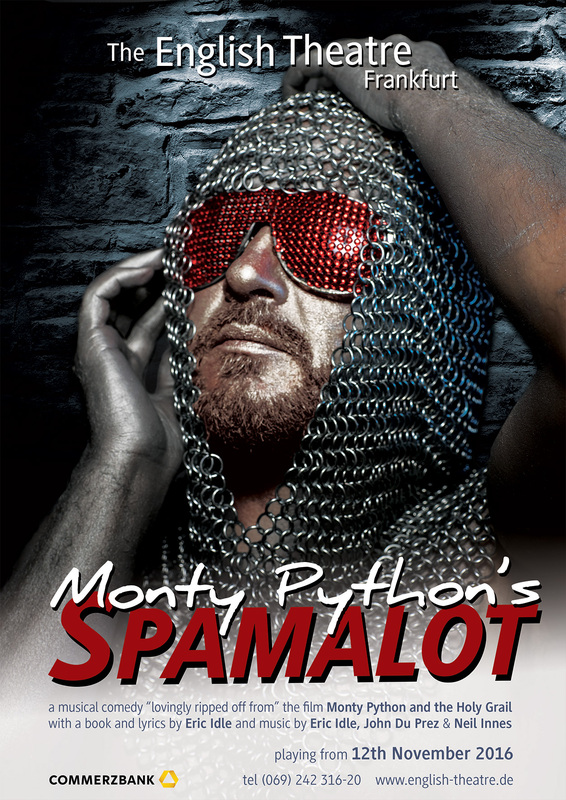 Monty Python’s Spamalot, the high-flying extravaganza of stage madness and melody is “lovingly ripped off from” the film Monty Python and the Holy Grail. The show retells the legend of King Arthur and his Knights of the Round Table on an epic quest to find the Holy Grail and features beautiful show girls, witch burnings (cancelled, too expensive), not to mention cows, killer rabbits, and French people. The unhinged plot of this medieval entertainment, mixed with contemporary issues, unleashes rapturous audience glee. In Spamalot, you’ll laugh a lot. But Spamalot is not just for Python fans… It’s a journey filled with lunatic obstacles filled with spoofs of many other musicals and is jam-packed with silly songs to match the action. It’s all singing, all dancing silliness! Es ist vielmehr eine Reise voller verrückter Wendungen, persiflierender Abstecher in andere Musicals und eine Mischung aus Action und flotten Songs – eine einzige singende, tanzende, unterhaltende Absurdität.